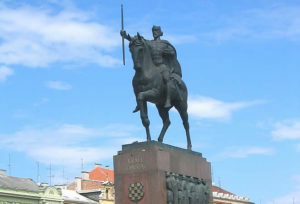 It is considered that Tomislav inherited a calmed and settled state from his predecessor, which enabled him to defend against the neighboring invaders without too much trouble. His attention had to be directed primarily to the north, because that was the venue of all the major events. 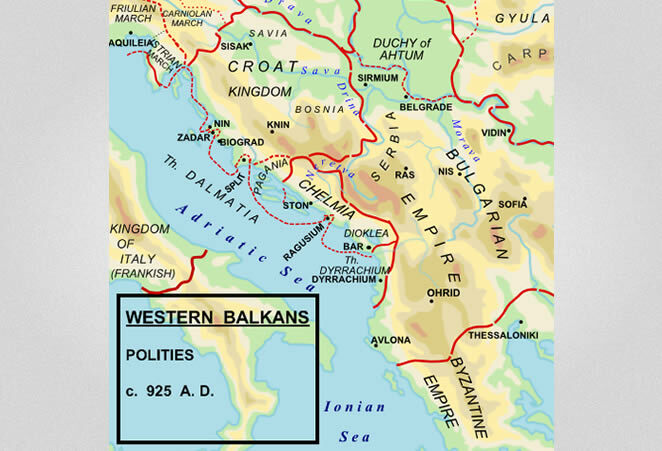 Namely, by the downfall of Great Moravia, Hungarians began settling in Potisje and in the middle shores of the river Danube; they started penetrating Italy, Germany and Byzantine Empire only after their arrival to Panonia. During their Italian campaigns, Hungarian forces were encountered by the Croatian duke, who victoriously fought off the attacks. When and how Croatia expanded all the way to the interfluve of Drava and Sava remains unknown, but as of 925 the Diocese of Sisak is mentioned as a territory officially under the ecclesiastical jurisdiction of Archdiocese of Split as well as secular jurisdiction of the Croatian king. It is most probable that this territory surrendered arbitrarily to Croatia before the Hungarian invasion, as Croatia was the stronger state organism.5 Greek annalist, Tomislav’s contemporary, Byzantine emperor Constantine VII Porphyrogenitus wrote that Croatia in those days could have easily risen 60.000 cavalry, 100.000 infantry, and had 80 larger and 100 smaller vessels.6 Thus, it was no mystery why all of the neighboring rulers, including the Byzantine emperor himself, wanted Tomislav as a reliable ally. Good relationship with the Byzantine emperor was confirmed in the allied war against the Bulgarians. By this, Tomislav was also doing a favor to Serbian dukes, since Bulgarians were their rivals. Whenever Bulgarians attacked Serbia, Serbian Prefect and his people would shelter in Croatia, where Tomislav welcomed them open handedly. Simeon had no choice but to settle with Croatia in order to make his main goal possible, which was conquering Constantinople. In 925, the Bulgarian army, led by commander Alogobotur, marched to Croatia, but Tomislav ambushed and defeated them in the Battle of Bosnian highlands, which was a major blow to Simeon. From then onwards Bulgaria starts to lose its strength. Emperor Simeon died shortly after, and Bulgaria became Byzantine province. 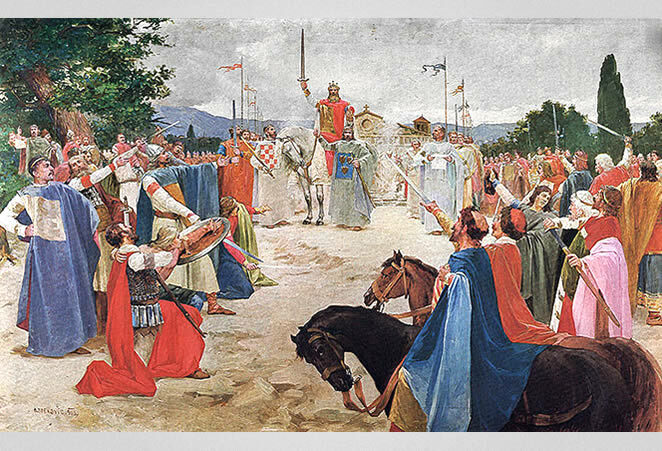 Following his victory over Bulgarians, Tomislav was crowned king, and proclaimed himself the King of Croatia and Dalmatia. From then, the royal titles were passed on to Tomislav’s posterity.9 He was, thus, the first Croatian ruler that the pope honored with a royal title, but this shouldn’t be looked on as a result of a formal act of coronation in which the Pope would grant a ruler royal insignia. 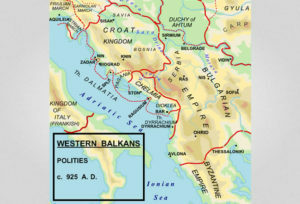 It is possible that this action was about raising the image of Croatian rulers, which started in Muncimir’s time, when he was honored a title of princeps.10 After 925 king Tomislav continued his war with the Bulgarians in order to aid his allies: banished Serbian dukes and Byzantium. The war, in which Pope John X (914-928) also intervened, lasted for about 2 or 3 more years. Under unknown conditions, king Tomislav and emperor Peter I of Bulgaria signed a treaty. 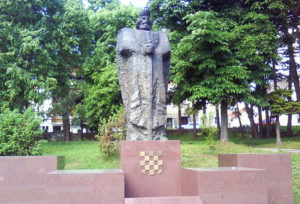 Tomislav, first king of Croatia, died shortly after the Croatian-Bulgarian treaty. The way he died and his final resting place still remain a mystery. 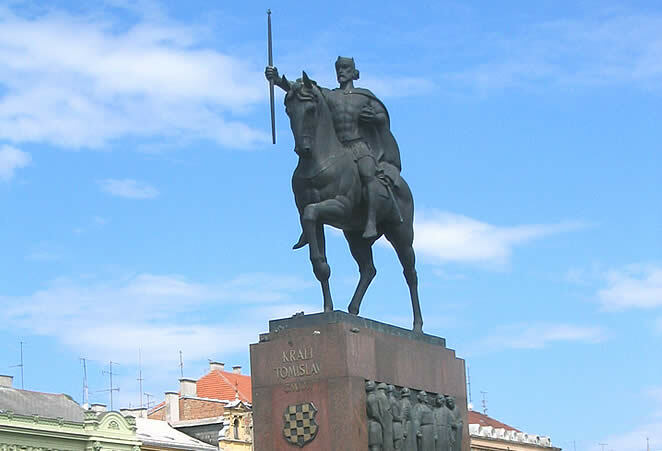 Although historiography considers Tomislav to be the first Croatian king due to fact that Pope honors him with that title we lack any evidence concerning his coronation. Therefore Stjepan Držislav remains without doubt the first Croatian ruler crowned king. According to Ferdo Šišić Croatia in time of Tomislav could raise an army of 60 000 horsemen, 100 000 pedestrian and had about 200 vessels in disposal; however Ivo Goldstein considers this thesis to be unreliable due to lack of valid arguments. Since Croatia in the first half of the ninth century had the highest population rate of 500 000 which would mean for slightly less than half of the population to be engaged in active military service.